Dragon Shrine is light and bright slot with a modern twist on the perennial Asian dragon theme. Other than being great eye candy, this 5 reel 50 payline game from Quickspin has a rather curious format with the first and last reels being shorter than the others, and here you can get a stack of Wild dragons. This game is however, nowhere close to making you a millionaire, but with an RTP over 96%, you can be looking at some frequent wins. 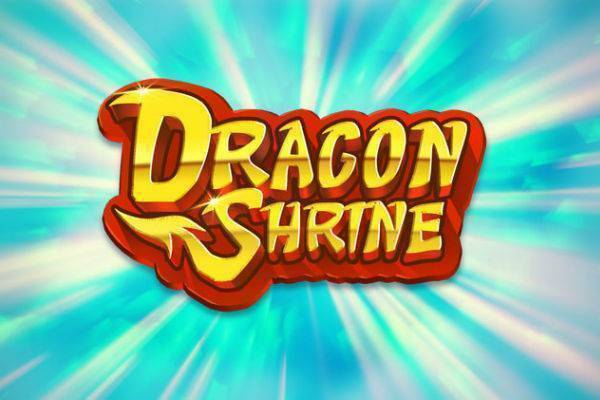 Pop over to one of these friendly slot sites to see what Dragon Shrine is all about! Start by setting your bet in Dragon Shrine. This is pretty easy. There’s a little menu that says “Total Bet” and all you have to do is nudge the up and down arrow buttons. It starts at £0.20 per spin and goes up to £80. All the 40 paylines are active at all times, so you don’t have anything else to worry about. Once you’ve set your bet, you’re ready to hit the Spin button – that’s the big orange button to the right side of the game screen. There is a green Shrine that is a Bonus symbol that will trigger a special bonus game. Additionally, if you like your reels to spin extra fast (literally! ), then there’s a fast forward button that looks like 2 arrows next to the Spin button. Right above is also where the pros might want to adjust the Autoplay settings to just let the game spin by itself for a few rounds. Dragon Shrine’s fixed jackpot is won by spinning 5 Wild symbols. This will give you 10x your bet. So if you’re playing £1.20 per spin, that’s immediately £12 in your pocket. The next highest prize is the Dragon symbol, and 5 of those will get you 3x your bet. These are admittedly rather modest prizes, but Dragon Shrine has a pretty good RTP at 96.55%, which means that you can be seeing wins pretty frequently. The Dragon Shrine slot is most famous for its Stacked Wilds and Free Spins, and here are the features in detail. Dragon Shrine feature: this feature is activated when you get a stack of Dragon Wilds on the first reel, which isn’t so hard because there’s only 3 rows on that reel! This will trigger 3 respins, in which all the existing and new Wilds are locked into place. Free Spins Bonus: Land 3 of those green bonus symbols (the Shrine) and you will trigger 10 free spins. During these spins, both ways win and if you get a stack of Wilds on either the first or last reel, it will be automatically mirrored so that you have Stacked Wilds on both reels. With Wild reels on both ends, that could be a lot more high-value wins! The Free Spins bonus game can be re-triggered if you get 3 more bonus symbols while this feature is active. Dragon Shrine is a really amazing looking slot, with a bouncy and juicy feeling to it that makes it look like candy and you’ll just want to take a bite into it. It has a bright, colourful and playful look, while the Dragons give it a sharper edge. The animation is smooth and clean and sometimes will super charge into fiery reels when you get the special symbols happening. A light, upbeat mix of bamboo flutes and the Guzheng (the Chinese harp) will accompany your play. Dragon Shrine is a fun game and a pleasure to play. It’s fun and pretty to look at, and the shorter 1st and 5th reels have been specially designed to give you high value, stacked Wilds. There’s also a free spins bonus round, with Wild reels involved for more wins. While the prizes aren’t particularly big, they do come often enough to make it add up. Get your Qi flowing with Dragon Shrine at one of our favourite casinos!